This is the best image yet of the 2018 iPad Pro. A leaked product image goes a long way toward confirming that the 2018 iPad Pro is getting a significant redesign. Apple’s next tablet is shown in a folding case, but it’s clear that the bezels have shrunk and the Home button has disappeared, just as previous rumors indicated. The image also clearly shows the front-facing sensors needed for Face ID. The case image, which was leaked to mysmartprice, shows the 2018 iPad Pro being used in landscape mode. This adds weight to the unconfirmed reports that Face ID will work with the tablet held this way. There have been some questions about this, as Apple’s facial recognition system works only in portrait mode on iPhones. The tablet in the leaked image is supposedly the 12.9-inch iPad Pro. However, the length of the Apple Pencil indicates this is likely the 10.5-inch version instead. In the 2018 models, Apple is expected to keep the same 12.9- and 10.5-inch screen sizes, but reduce the overall dimensions of the tablets by shrinking the bezels. Still, no screen cutout (or notch) is necessary for the TrueDepth camera, as the iPad Pro won’t have bezels as thin as the iPhone XS. The angle of this picture neither confirms or refutes the reports that the 2018 iPad Pro models will the the first iOS devices ever with a USB-C port. The case in the product picture has a slot for an Apple Pencil. It’s not clear if the one shown is the rumored updated version of this active pen. This redesigned iPad is expected to be unveiled before the end of this month. This will supposedly happen at a second fall press event, along with the unveiling of a new MacBook Air and Mac Mini. The new iPads can’t come soon enough. The long wait for new iPad Pros may be nearly over if a recent filing by Apple in Asia is any indication that Apple has finalized its product lineup. This week it was discovered that Apple just registered three new iPad models with China’s Ministry of Industry and Information Technology (MIIT). Apple also registered a new Bluetooth device with MIIT, which could be a new Apple Pencil for the iPads. According to MySmartPrice’s findings, Apple registered iPad model numbers A1876, A1980, and A1993 with MIIT at the end of September. Those first model numbers were also in a Eurasian Economic Commission filing from July, the A1993 model number hasn’t been seen before. Now that Apple has filed the same iPad Pro models in different countries, it should be a good sign that a launch could be happening soon. Apple is expected by some fans to host a keynote sometime in October. The keynote could cover new Macs and iPads for the holiday season. It’s getting later into the month though and there’s still no sign of the event, so Apple could just choose to reveal the new products online only. 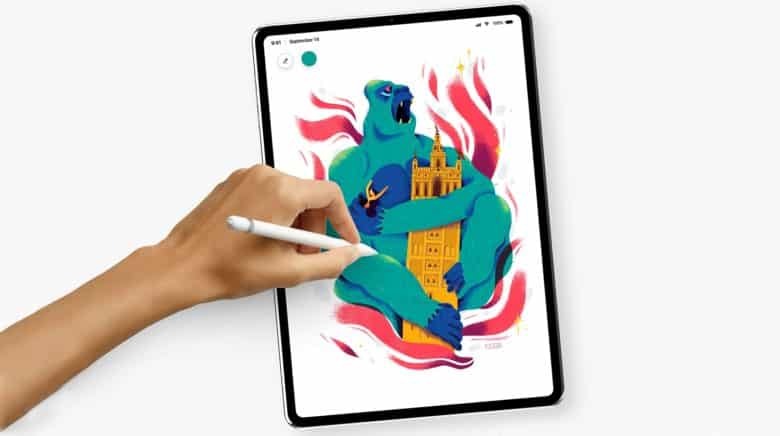 New iPad Pro features are expected to include a bezel-free display, A12X processor, Face ID, more RAM and other internal improvements. Apple also supposedly plans to ditch Lightning on the new iPads in favor of USB-C.